The exceptional skill of the Midleton Masters, combined with Mitchell’s old notes on the Yellow Spot expression, has led to the recreation of this 12 Year Old whiskey. 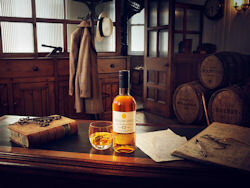 Rather than simply being a 'finished' whiskey, Yellow Spot is an expression that has been matured for a full 12-year period, in three oak cask types: American bourbon barrels, Spanish sherry butts and uniquely, Spanish Malaga casks. Bottled at 46% ABV and set to be produced annually in batches of just 500 cases, the first bottles will be available in key markets from late May 2012. 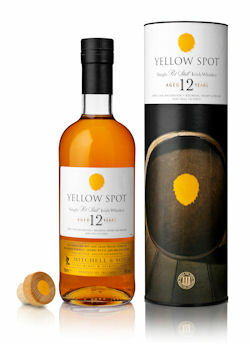 Yellow Spot will be available in Ireland through Mitchell & Son, in France through La Maison du Whisky, online via The Whisky Exchange and in Germany through Irisch Lifestyle. RRP €65 for a 70cl bottle.